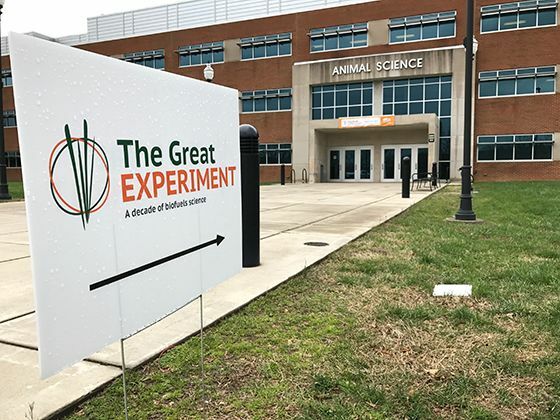 On March 13-14, 2017, the University of Tennessee Institute of Agriculture (UTIA) hosted The Great Experiment Conference (GEC) to examine a decade of what has become a model of academic exploration and success. The meeting captured the scope of the science that encompasses the biomass supply chain, from growing the feedstock to converting it into fuels and chemicals. The GEC emphasized the switchgrass biofuels exploration of the UT Biofuels Initiative; highlighted the cooperation between farmers, UT Extension and AgResearch; and discussed ongoing progress in the bioeconomy. Over the two-day conference, 28 speakers, including scientists, extension agents, farmers and industry leaders, presented on their respective piece of the Great Experiment project. “A total of 72 external industrial and institutional partners were involved in this project: When you start looking at this as a model that’s very unique in the academic world, and I think that’s what sets this initiative apart and has made it so successful over the years,” said Sam Jackson, vice president of business development for Genera Energy, Inc.
Output from the conference resulted in a digital repository of presentations, videos, pictures, collected data, and links to published material, capturing the breadth of knowledge gained during the decade-long experiment and furthering the goal of establishing a thriving and sustainable bioeconomy.